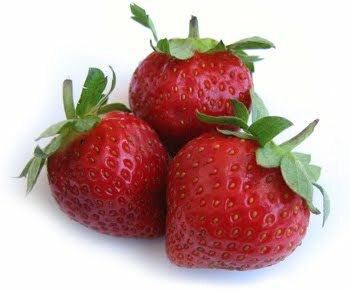 Fighting to be Frugal: It's Berry Time! Do you ever feel like the ant from the ant and the grasshopper? That's how I feel especially during berry time! Last week was the end of strawberry season here on our little Island. Talk about making it in by the hair of your teeth! I loaded up our van with my four children, met a friend with her four children and we headed out to the Second Wind Llama Ranch here on PEI. What a fantastic place to go picking. Lots of room, lots of berries, great owner and great prices ($1.25/lb) In two hours, and lots of talking later, my family picked 36lbs of strawberries and probably ate a pound or two along the way. We took them home, washed them, stemmed them and then bagged them for the winter. We make strawberry smoothies, rollups, shortcake and jam all year round from them. This week is raspberry picking. We were going to head out tonight, but the beach called us instead. Hmm. Hard decision. Stanhope beach is our favourite here. Hopefully the rain tomorrow doesn't turn the raspberries mouldy and we will get them picked on Friday. I have a great crop of black berries producing in the backyard this year as well. Pretty excited as this will be my first year making blackberry jam. Blueberries I despise picking, could be because of the horrible poisoning experience I had when I was a small child. I just get them in a box from a friend down the road. It's my splurge. Tell me, do you pick berries for the winter? What do you do with them? What type of berries are you picking? Awww, strawberries have been done for a month where I live and we were in PEI last week. I wish I had of known. I totally missed the strawberries this year. They were not good where I live so they didn't last long and they weren't cheap. They were gone before I knew it. I will be blueberry-ing soon and freezing and dehydrating. My kids are going to school this fall (instead of homeschooling)so I plan to make lots of fruit/berry leathers while things are in season. I have about 10lbs of strawberries from last year in the freezer I will probably use. We don't eat much jam so I don't even bother with that anymore (I have a few dozen jars from 2008 still).